Seattle-based Columbia Pacific Management – one of the largest healthcare providers in Asia, with 28 hospitals in India and Southeast Asia and three senior care facilities in China – announced it is officially entering the China hospital market with an investment in a 200-bed orthopedic hospital in Shanghai. 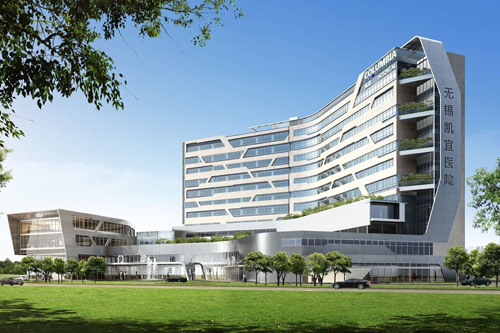 The Seattle-based firm last fall announced it was building two 250-bed multi-specialty hospitals through its new China hospital arm, Columbia China, both set to open in 2018. The company also owns three outpatient clinics in Shanghai under the Columbia China name. But the company’s investment in the 200-bed Kaiyuan Orthopedic Hospital in Shanghai’s Pudong District marks the first time that Columbia China will operate a hospital in China. The investment also positions Columbia China as a major player in Shanghai’s orthopedic services market. The hospital, which will eventually operate under the Columbia China brand, will offer orthopedic services, from joint replacement and arthroscopic surgeries to rehabilitation care. Over the next few years, the company will expand the hospital to 300 beds. The Kaiyuan hospital expands Columbia China’s presence in Shanghai. The company last fall opened a multi-specialty clinic in the central Puxi District and earlier this year opened a plastic and reconstructive surgery clinic in the Changning District. A second Columbia China plastic and reconstructive surgery clinic will open later this year in Shanghai’s Huangpu District. Columbia Pacific has been operating in Asia for more than 20 years. The company is planning a significant expansion in China, similar to the network of hospitals the company owns in India and Southeast Asia through another affiliate, Columbia Asia. In China, Columbia Pacific is focusing on large cities – Shanghai is 24 million people; the two greenfield hospitals under construction are in Wuxi (7.5 million) and Changzhou (3.5 million) – with hospitals and clinics designed to serve the wide-ranging medical needs of the country’s fast-growing middle class. Columbia Pacific has strong ties to China. In 2011 the firm’s China senior care affiliate, Cascade Healthcare, became the first foreign-owned company to receive permission from the Chinese government to build senior care facilities in China and now has three facilities: one in Beijing and two in Shanghai.